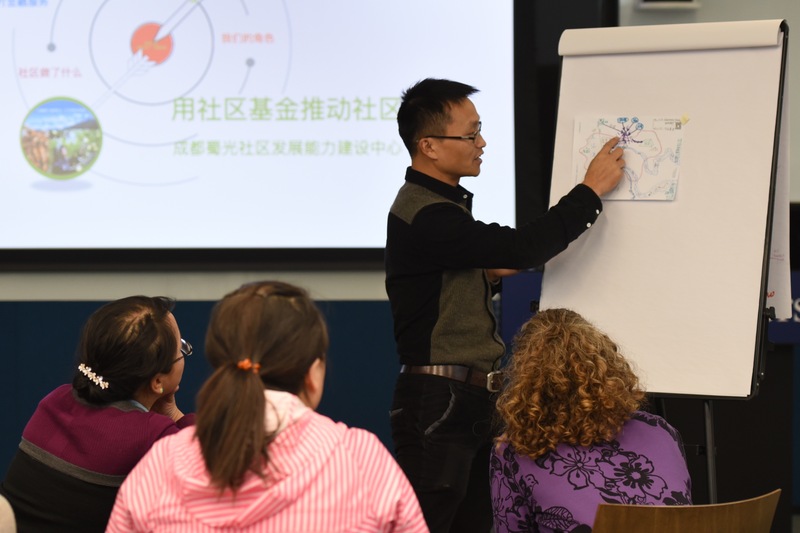 Packed with public evening talks, guest speakers in the field, and hands-on activities, this workshop provided a ripple effect of powerful communications among key civil society leaders primarily in the environmental and community development fields of China. Through the workshop, not only did NGO leaders share their work to an expanded audience, but they were also able to pass on the lessons of how to craft an impactful story. This training is the second year of the “Storytelling is Serious Business” project, created in partnership with the Wilson Center’s China Environment Forum (CEF) and supported by the Ford Foundation. Under the guidance of GEI’s Dr. Kui Peng, program manager of the Ecology Conservation and Community Development Program, and China Environment Forum (CEF) Director, Dr. Jennifer Turner the TOT workshop included two parts to prepare these trainers for the responsibility of teaching a new generation of storytellers. The first goal of the workshop was to hone the storytelling skills that were part of the “Storytelling is Serious Business” workshops, such as lessons on presentation, media, and interview development. A key component of story-telling is telling successful stories (simple, unexpected, concrete, credible, emotional, story, as taught by public speaking experts Dan and Chip Heath). The second goal of the workshop was for the trainers to practice public speaking and teaching as they will soon become the next storytelling leaders. In addition to Dr. Peng and Dr. Turner, the workshop also welcomed the practical expertise of pro-communicators Liu Chen of Greenpeace East Asia’s Head of Communications and Actions Unit; Shi Ye, a journalist with Sixth Tone; and Sean Gallagher, a National Geographic and award-winning environmental photographer. We hope that by continuing to arm nonprofit organizations with strong communications skills, they can soar to new heights and widen their impact. GEI and CEF are hopeful that these NGOs and the NGOs they reach will be able to raise more awareness of the problems they work to solve, increase their funding and support, and become more adept at public speaking and networking. Marketers know “content is king.” Architects preach “form follows function.” The adoption of these two adages provides the infrastructure to a PechaKucha, a presentation capped to 20 slides timed for 20 seconds each. This formatting emphasizes concise and visual storytelling over an otherwise text-dense and picture-less presentation, often found in PowerPoints. During the training, each trainer prepared a PechaKucha to highlight one of his or her organization’s impacts, received peer review on his or her presentation before offering an evening talk at Beijing’s bustling Chaoyangmen Galaxy Soho and Yale Center Beijing. Partnering with Beijing Energy Network, Green Drinks Beijing and the Yale Center Beijing, the respective three events invited wide audiences in Beijing’s environmental field, which is comprised of academics, researchers, entrepreneurs and fellow NGOs. The PechaKucha talks transported the audience to projects focused on environmental conservation and community development outside the Beijing city limits. Following the presentation, the TOT trainers and audiences further connected over networking. Chinese proverb, “Give a man a fish and you feed him for a day. Teach a man to fish and you feed him for a lifetime,” illustrates that teaching a new skill is more powerful than offering a finished product. As the overall objective of the workshop is to expand communications ability, trainers were prepped to become master instructors who could assist fellow leaders in their respective fields on how to share their stories. To apply the trainers’ skills, GEI and CEF brought together over 30 individuals from different NGOs and organizations in Beijing for a half-day workshop. With lessons about making infographic, delivering an engaging presentation, and crafting 30-second elevator pitch, the trainers equipped this new cohort of storytellers with hands-on lessons on grabbing the spotlight in impactful storytelling! 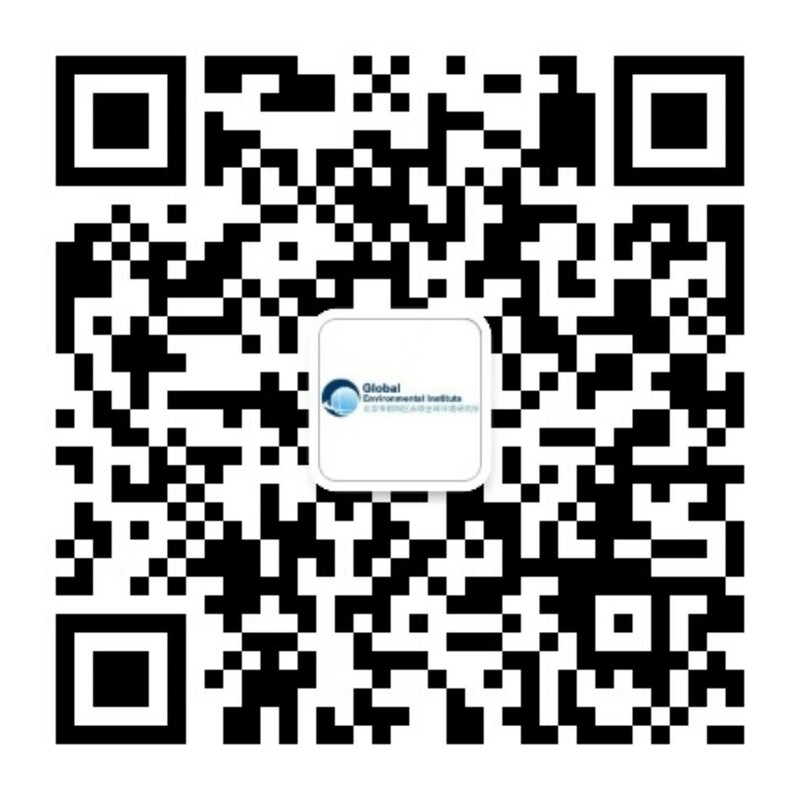 For more stories, please visit: https://www.wilsoncenter.org/storytelling-serious-business-online-toolkit-for-environmental-professionals-china-ru-he-jiang-hao.